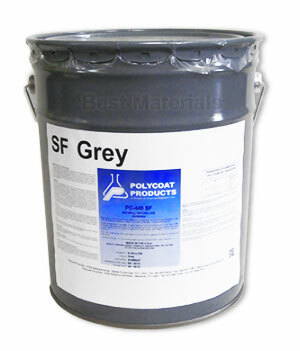 PRODUCT: POLYCOAT PC-440 SOLVENT FREE, GRAY COLOR WATERPROOFING BASE COAT, 5-GALLON PAIL, PRICE/PAIL. PC-440 a solvent free version, single component, liquid applied, moisture cured, aromatic urethane polyurea elastomeric waterproofing base membrane. This is the preferred product for creating waterproofing layer under tile applied on wood decks.